Now that we have sharpened all of our pencils for fall, let’s put the finishing touches on ourselves. In honor of our style, good health, healthy appetites and, of course, football, here are a few finds to welcome the arrival of September in Memphis! From football parties through New Year’s Eve, this modern aluminum cooler will update any bar area, casual or formal. Available at Ryan Patrick’s boutique: www.ryanpatricksalon.com. Do you have any walls begging for a little more color but don’t want to make a major art investment right now? While we usually think of Palladio for antique furniture shopping, this venue is also a great place to find that missing piece of art for your home. Starting at $95, the variety available in one place makes your selection easier. For more information, click here: www.thepalladiogroup.com. Need a king-size mattress but you only have two twins? Convert the twins to meet your needs with this quick-fix. Made of soft and supportive hypo-allergenic polyurethane foam, this bed bridge “bridges the gap,” leaving no ridges or lumps. Available at Bed, Bath & Beyond: www.bedbathandbeyond.com. These custom makeup bags from Heather Cosmetics can be personalized with a monogram or a logo. Available in all sizes and ranges of prices: www.facebook.com/pages/Heather-Cosmetic-Boutique. 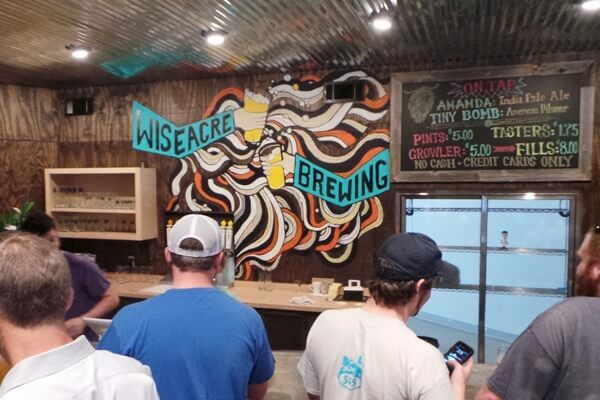 The Wiseacre Brewing Company opened to the public on Labor Day weekend. Visit their tap room to sample Memphis’s newest craft beer venue: fuzzybrew.com. I even bought a souvenir tee! Owners of the legendary Broadway Pizza House, Denny and Dewana Ishee, are looking forward to opening their second location in East Memphis very soon! Feed the giraffes at the Memphis Zoo, $5 per feeding. Happy September, arguably one of the best months of the year! Be sure to check out what our other SB sister cities have on their FINDS lists today, too!